This 60-acre property near the Flint River in east Fayette County gives visitors a first-hand glimpse of a retired working forest with an adjacent bottomland habitat. The Trust is enhancing the site based on the property’s recent land management history. The Trust established part of the nature area as a site for the public to view forestry best management practices. 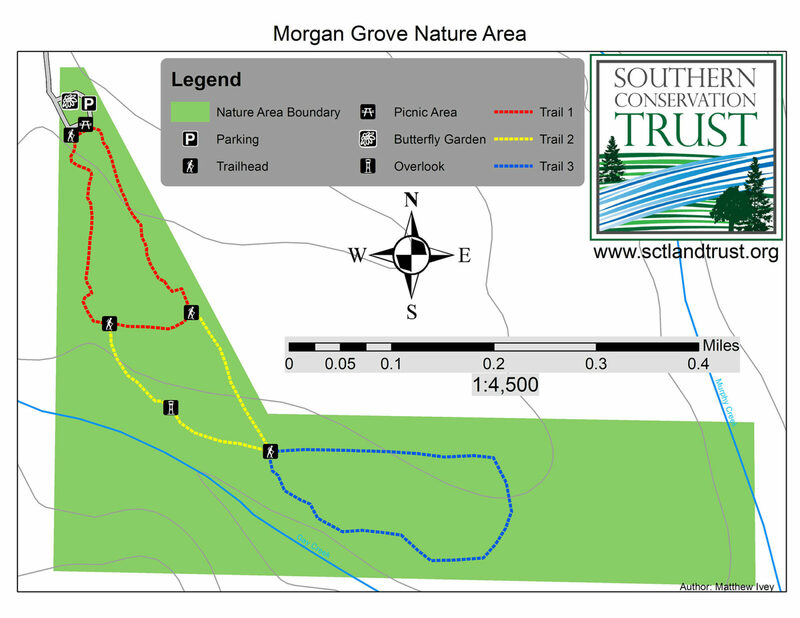 The Morgan Grove Nature Area showcases both natural succession & active management. During the spring a vibrant butterfly garden is maintained to attract pollinators to the area. A small network of trails winds through the natural successional areas, young pine forest, and bottomland forest near Gay Creek. 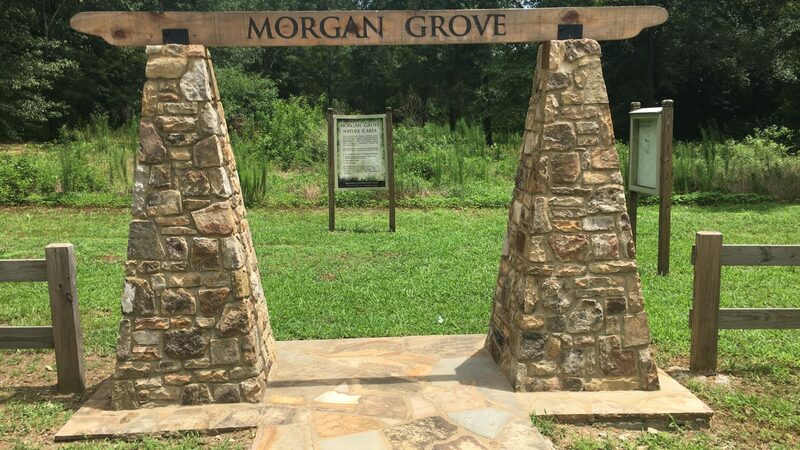 Typical wildlife species that frequent Morgan Grove include white-tailed deer, wild turkey, multiple species of songbirds, and pollinators! The open field area at the front of the park may be used as an off-leash area only if the dog is under voice command. The trail system remains available for leashed use only. Please utilize the dog waste disposal containers, provided by Koppers.